The first picture is from 1921. 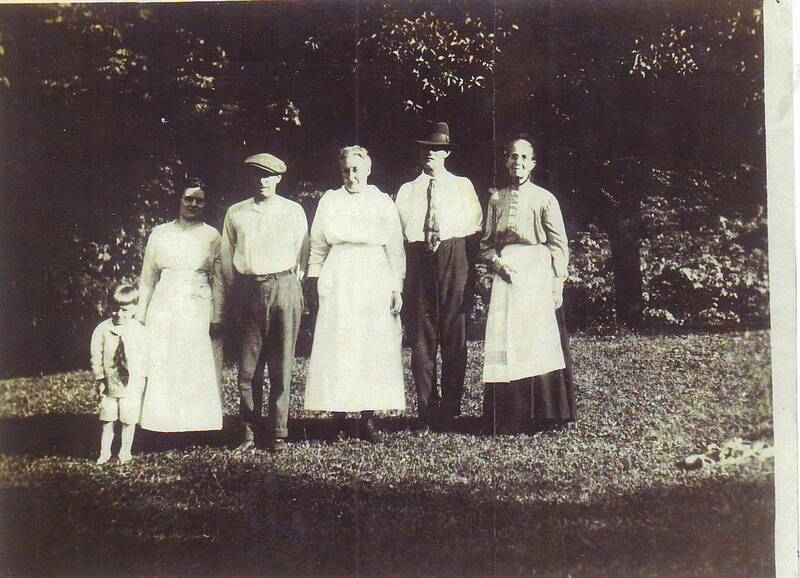 From l-r: Royden B. Scott, Viola Lawton Scott, J.P., Anna Beatty Scott, Frank Scott, Margaret Olinger Scott (J.P.’s mother). One of my favorite pictures. 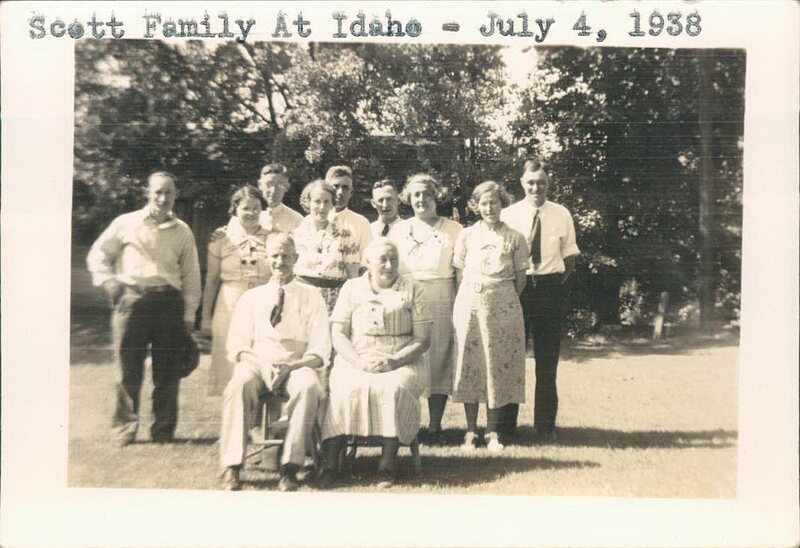 From the Scott Family Fourth of July picnic 1938. Seated: J.P. and Anna. Standing l-r: Frank Scott, Viola Lawton Scott George, James D. George, Gladys Scott Cessna Rose, Wade Rose, Howard Scott, Blanche Altmam Scott, Ella Scott Wingard, Willard Wingard. J.P. Scott Family 4 July 1938. I will discuss Anna Mary Beatty Scott in a separate post covering the Beatty line.